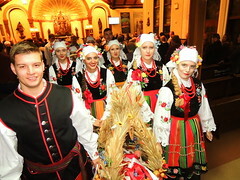 The group’s initiative is to promote the Polish Culture and entertain the audience. 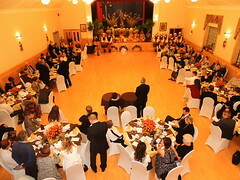 We feel it is important to add to the cultural mosaic, not only through the Polish tradition and historical aspects, but through modern theatre, poetry and dance, which represents much more vividly who are the people who make up the present community and what they can offer to enrich the community. Even more important we feel, is to involve more youth in the work of the group, giving them a chance to work with other people of various ages. Engaging them in extracurricular activity such as this develops in young people a sense of respect for other, albeit of different age, nationality and also enhances their work together and reduces self-interest, as well as enhances their techniques, skills and talent in these performing arts. The name “Plomien” means “flame”, and just as a flame provides warmth to those who draw near, time and again Plomien warms the hearts of its countless audience members. The Polish Vocal and Theatre Group “Plomien” is a local ensemble, founded in 1995 by Danuta Pogorzelska. 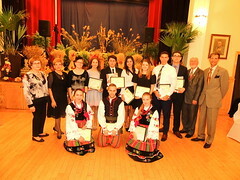 Originally composed of a few students of the Polish School, it has evolved into a group of individuals from all walks of life, united in their goal of promoting contemporary Polish culture throughout the community. This is accomplished through dance, song, music and poetry – an artistic mixture that enhances the cultural landscape of Southwestern Ontario. Plomien enthusiastically performs throughout the year at many different functions, and welcomes any member who wishes to develop and display their talents. Danuta Pogorzelska continues to act as Plomien’s director, and has witnessed the group’s evolution over its ten-year history. 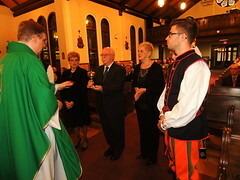 The first members recited Polish poetry both in Windsor and in Toronto, gaining recognition at various competitions. In 1997, the group put on the play “Dzis do Ciebie przyjsc nie moge” (“I can’t see you today”), which was dedicated to the Polish soldiers. It was performed several times, always receiving enthusiastic reception. Moreover, eager to broaden its artistic horizons, the group was concomitantly developing and performing other programmes, which included vocal and dance selections. 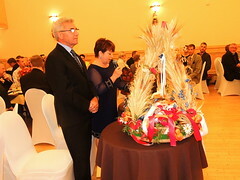 In 2001, when the group’s Artistic Director, Joanna Pogorzelska, became involved with the twinning of the cities of Lublin and Windsor, the group participated in the celebration. 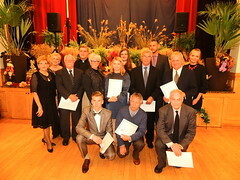 Danuta Pogorzelska wrote a commemorative song, which was performed and recorded by Plomien. 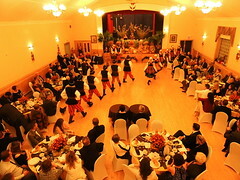 In 2002 and 2004, Plomien continued this festivity by participating in the Polish Week in Windsor, performing at various events. In addition, Plomien gives regular performances at Dom Polski, at the Carrousel of the Nations Festival, in Chatham and in Toronto. Over the last few years, under Joanna Pogorzelska’s creative leadership, the group has sought innovative ways to diversify their programme. By incorporating elements of other cultures into the existing repertoire of Plomien, the group has developed an imaginative, eclectic style of performance. 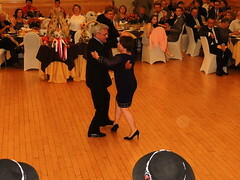 These songs and dances exhibit the unity shared by Canada’s diverse groups and reflect the group’s portrayal of the changing cultural landscape. To this day, audiences can expect creative programmes and delightful surprises with every performance – a fact that has gained Plomien many friends and supporters. 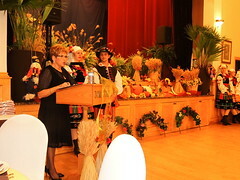 “Plomien” is currently under the patronage of the Polish People’s Home Association. Its members meet regularly, and perform frequently for audiences in Windsor and throughout Southwestern Ontario and Michigan. Everyone’s participation is voluntary, and the group is financially dependent upon the donations of generous organizations and kind supporters. Plomien is extremely grateful for these commitments, which allow the group to grow, explore new venues, and entertain larger audiences. Plomien is proud of its brief, but rich, history. In ten years, the group has showcased modern Polish culture to numerous audiences, many of whom may not have otherwise known of the talents of contemporary Polish artists. Plomien has become a recognized name – known for its dedicated members, entertaining programmes, and overall enthusiasm. Each season, the group’s composition changes slightly, as some members move on and new ones arrive. The spirit of Plomien, though, is constant. The group looks forward to many more years of artistic success.